The cold dark nights have arrived as have the frosty mornings; winter will soon be in full flow over the next few months. Unless you’re in a warmer part of the world you will be getting the hat and mittens out for your evenings out and about. 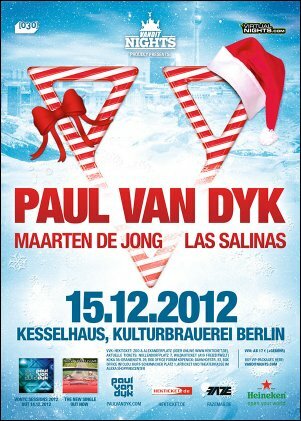 One evening worth venturing out into the cold for is Paul van Dyk's annual Winter VANDIT night in Berlin. It doubles as his birthday party and this year he has Menno De Jong and Las Salinas for company in the booth. 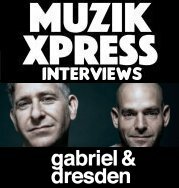 You can expect one huge night of superb electronic music hosted by one of the biggest dance music artists on the planet. The day before the party you can get in the mood by grabbing the 2012 edition of Paul's VONYC Sessions compilation. The VANDIT team will be at the party and no doubt they might even have a few copies to give away. Make a note of the date and head on down to celebrate Paul van Dyk's birthday, VANDIT style.